Kaaterskill Falls waterfalls from the bottom of the terrain by Fine Art Photographer Steven Archdeacon. 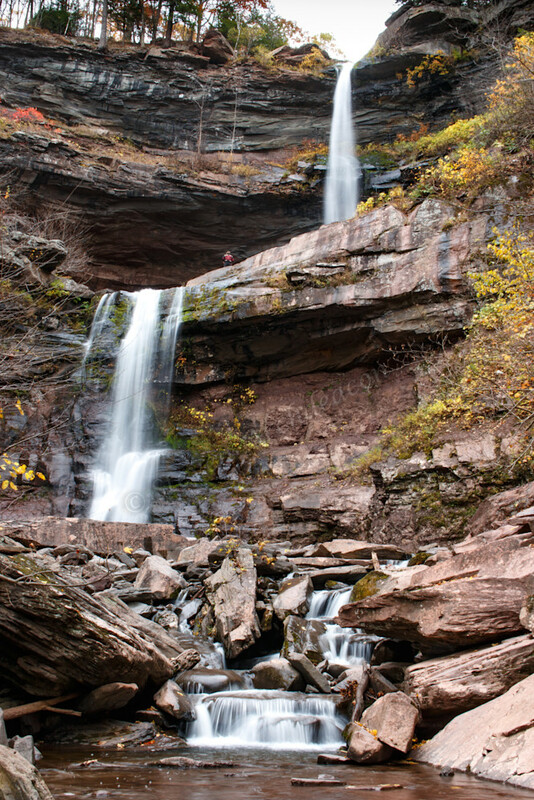 Kaaterskill Falls (Catskill Mountains, NY) all waterfalls from the bottom of the terrain. View from the bottom of the 2nd waterfall. It's funny as the waterfalls don't really look that big until you notice the person standing to the right of the middle waterfall. This was one of my favorite pics. "The earth has its music for those who will listen."